Privacy has become one of the major concern for internet users as technology become more advance and web more sociable. From apps to bots to virtual assistants to AI, it is becoming more necessary to secured ones personal data as web does not seemed to be as secure as it had once been. We are no longer in the era of Windows 95 or Netscape browser; the web has greatly evolved indeed. The launch of Facebook in 2004 seen to the beginning of a new era on the world wide web, since then many other social networking sites have erupted, one of which was Pinterest. In its basic, Pinterest is not really a social networking site, but rather an image search engine where registered members are able to upload photos, share links, and communicate with each other. Pinterest does not laid all its foundation on "personalities" unlike others out there, but that does not mean some personal details are not required when registering an account. To make it easier for registered users to share contents on its platform, Pinterest also allowed its users to connect with third-party apps such as IFTTT, Twitter, Facebook, and Instagram. By doing this, an user will be able to share his/her Pinterest pins to his/her other social profiles or share contents from other platform to Pinterest (this can be done via IFTTT). If you are one of the Pinterest users that has connected his/her account with other apps or websites, and you do not know how to disconnect or remove the apps from your account, we are here to help. Just keep reading. While being allowed to pair and share contents to and fro on other third-party apps or sites can be regarded as part of a good user experience, there are dangers involved as well. For instance, it will be unwise to shared ones personal information with untrusted websites such as betting sites in the name of good usability. Connecting with these sites will reveal not only your personal information, but your profile picture as well. For app or site that you do not trust or no longer use, it is recommended to disconnect such as it may lead to data breach on your other social accounts if things go wrong. P.S: A web browser is strictly required. 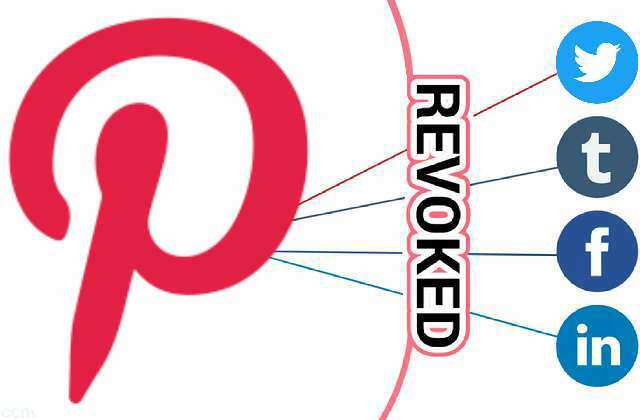 Mobile browsers (i.e Opera Mini, UC Mini, Firefox and Chrome mobile browsers) and Pinterest Android app currently does not support removing connected apps on Pinterest. Find this helpful? Don't forget to share.